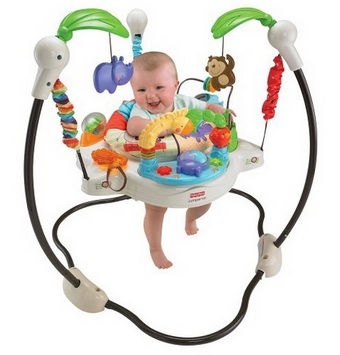 Home > Baby | TARGET > Target: Fisher-Price Luv U Zoo Jumperoo Only $55.99 + Free Shipping! Target: Fisher-Price Luv U Zoo Jumperoo Only $55.99 + Free Shipping! May 19, 2017 Comments Off on Target: Fisher-Price Luv U Zoo Jumperoo Only $55.99 + Free Shipping! Target has the Fisher-Price Jumperoo Luv U Zoo marked down to $55.99 + Free shipping! Tory Burch Shaw Fringe Espadrille Flats Only $91.88 + Free Shipping (reg. $175)! Amazon: Spirograph Shapes Only $9.59! !